With Halloween fast approaching, I thought I'd let you know of a new tradition we will be starting this year (beginning October 1st). 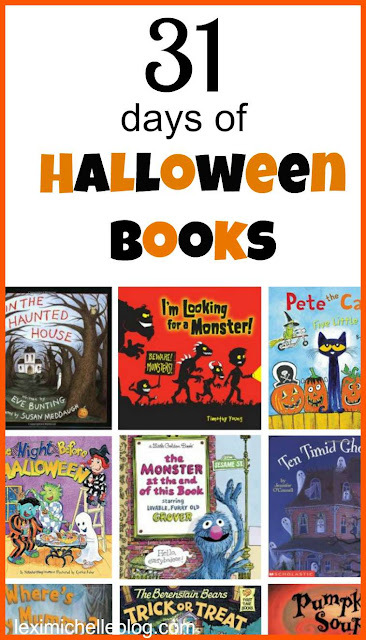 The plan is to read one Halloween book before bed, every night leading up to Halloween. David is only 1, so a lot of these books may go over his cute little head but that doesn't mean he isn't getting anything out of this new tradition. Story time has so many benefits to children of ALL ages. Plus, I love any excuse for family time that doesn't involve sitting in front of the TV watching Netflix! Definitely let me know of your favorites in the comments below, so that I can check those out as well! I'm Looking for a Monster! Honestly, I love the idea of this tradition so much that I could definitely see us doing a 25 days of Christmas books countdown when December rolls around too!